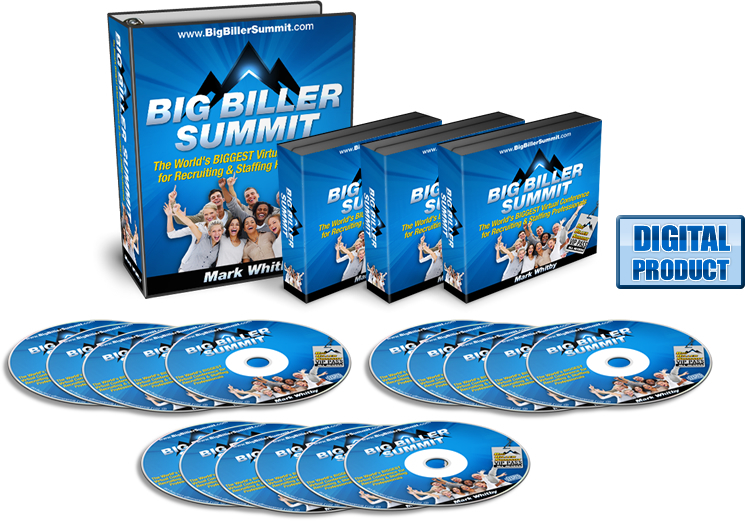 Dear , Now that you’re registered for Big Biller Summit, you can listen to ALL the training calls absolutely free! However we know that you’re extremely busy and might not be able to listen to all the calls at their scheduled times, so we’ve put together a special VIP package for you! We will be recording all of the training sessions, and will also have all of the calls transcribed. That way, you won’t miss anything if you can’t attend a scheduled call for some reason. Plus by downloading a digital copy of the audio recording and transcripts, you’ll be able to listen over and over again at your leisure, whether it be in your car, on your iPod, reading in your downtime, etc. Only VIP ticket holders get access to the digital recordings. Click here to upgrade to VIP now! We’ve brought together 20 of the most popular and respected trainers, speakers, and experts in our industry. Think of all the talent you’ve surfaced that were never interviewed by your clients. We blame our clients, but it’s time we learned how to eliminate this problem and book 100% of the candidates presented. If you haven’t registered for the Summit yet and you’d like to join us for this session just click on the Register FREE button to the right. The recently released global research on high performers in sales that reveals the window of opportunity for recruitment consultants to genuinely consult rather than just build relationships. The types of conversations that are necessary to have with clients to powerfully present yourself as a genuine consultant, specialising in recruitment, whose services are worth engaging ahead of any alternative. How to build your genuine consulting skills. If you run a recruitment business, manage a team of recruiters or work as an independent recruiter, you’ll know there is nothing more important than making placements. Without placements, you simply don’t have a business. If you would you like to have a business with overachieving consultants making 2 to 3 placements consistently each month and a flow of clients calling you, then you will enjoy this session. I will be showing you HOW on this call with Mark. The 5 steps you MUST use to get your underperformers back on track in Two Weeks or less. BTW, the ‘under performer’ could be you if you work independently! The Coaching Tool I use that Removes Killer Limiting Blocks like Fear and Procrastination! This presentation is ONLY for Staffing/Recruitment& Search firm owners. Having completed a survey with HR and Hiring managers from around the world..
Solo/Independent Recruiters: How to Double Your Placements AND Double Your Revenue in 121 Days or Less! Are stuck in a revenue range that leaves you “more month at the end of your money”? Is 2013 less than you hoped it would be? Do you find yourself sitting at your desk every morning and simply opening up and reading email and having the agenda for your day set by the crisis of the moment… or worse, have NO agenda for the day? Have you expected, through some sort of divine intervention, that situation would fix itself? If you answered yes to one or more of the above questions, you need to attend this call!!! Clarity on the one or two things holding you back AND a few ideas on how to fix the problem. 3 Specific ideas on how to at LEAST DOUBLE your productivity in 2 weeks or less! 3 Strategies on How to Increase your marketing… without cold calling! The formula on how to Hit your exact revenue target… GUARANTEED! Poor communication and leadership can lead to a reduction of engagement and retention. Soft power is the key to durable success. What is it? Simply put, it is the application of emotional intelligence (EI). Discover 7 elements of EI to influence and engage others through communication, persuasion and charm. Whether established recruitment managers or aspiring team leaders learn why EI is so important in management and leadership and take away some valuable tools to engage your teams. In the past 18 months, Gaynor has stepped in to kick start 2 recruitment businesses that were stagnant and achieved amazing results, growing both significantly in a declining market. In addition, 18 months ago she set up HomeCare Australia, which provides labour hire services to the aged care sector in Australia and has made significant gains in an environment of high governance and restrictions to growth. In this presentation she shares her secrets to success in building a sustainable and profitable recruitment business in challenging economic times. She will cover the steps she undertook in the 2 recruitment businesses she kick started and also share some insights into what recruitment business owners and managers need to focus on. Her back to basics approach will motivate you to take action to improve your bottom line. Discussing what the Institute of Recruiters (IOR) thinks recruiters need to know, in order to still be relevant in the future. Covering how the IOR is working to better promote recruiters to HR professionals, and get recruiters on a level playing field. Whilst selling in the recruitment sector is undeniably an art, there is often a great deal of strategy that is required to make our sales efforts truly effective. Developing a strategic sales process within your business is simple, though requires a very clear understanding of some very important and measurable numerical ratios, inputs and outcomes that determine just how effective your sales effort really is. This ultimately turns the art of selling into the science of selling. In this high-content advanced training webinar for recruitment business leaders, you will gain expert guidance on the most powerful strategies and tactics you can use to build your own team of recruitment superstars. This special webinar will give you four of the most powerful insights available to recruitment leaders who want to grow their businesses. MAKE YOUR RECRUITMENT COMPANY THE ONE THEY ALL CHOOSE TO WORK FOR AHEAD OF YOUR COMPETITORS EVERY TIME. The biggest irony in our industry is that most of us are experts at finding great candidates for our clients, but we fail miserably to recruit consistently well for ourselves. Learn how to identify the non-performers before its too late and they are working for you! Discover how to IMMEDIATELY determine who will succeed and who will fail BEFORE you offer them the job, not after you have spent a whole lot of time, effort and money training them and paying them for mediocrity. You will also receive my ‘Three Interview Superstar Selection Sequence’ for attending the webinar so you can start building your team immediately. Talent Scout Associates, Portland Oregon. Greg is in a unique position in Australian Recruiting with 30 years’ experience at the coalface, and now consulting to dozens of recruitment companies, on the Board of 5 recruitment companies, a shareholder in several, and invited to attend recruiting conferences all over the world. He has a compelling insight to how a recruitment company should operate in the new world, and in this series he shares what he would do if he started a new business tomorrow. How it would be different? What sort of people would work there? How would it be managed? How would talent sourcing evolve? Owners and Managers: Learn fresh ways to develop differentiators that clients really value, understand where to allocate resources, learn new marketing strategies, understand the role of social media, talent sourcing, mobile and ATS technology. Crucially, the DNA of the recruiter of tomorrow will be dissected. What skills should you be hiring to drive your business forward? Greg also looks at management structures, cost saving strategies, and predicts the key trends that will affect your business. Recruiters: Get to understand the trends that are shaping the industry. You will learn which tactics will no longer work, what new skills you must learn as well as practical tips on how to build your personal brand, position yourself as an “expert” and develop innovative business development tactics that don’t include cold calling. Greg also believes the recruiter of the future will be highly skilled at the “craft” of recruitment. So he will cover the reinvention of traditional skills such as deal architecture, job order triage and order qualification. It’s not about data…it’s about insight! Tips for recruiters to maintain relevance & add real value to clients. Millionaire Recruiters were not born. They were made. After an exhaustive study of Millionaire recruiters all over the world, Jon will go over the key characteristics, activities, skill sets, accountabilities and mindset of the top 1% of the recruiters worldwide. And by the way, it’s NOT about the money. Jon will explore the commonalities of the ultra successful as well as what key elements everyone can implement to dramatically improve their production today. Getting hooked into the wrong assignments. Step up … to a higher level of service, bigger fees and stronger client relationships! Is there a fall-back position? Making the switch—and never looking back. How many more placements could you make if you could find the right candidates? If you’d like to improve the quality and quantity of candidates you recruit – whilst reducing advertising costs, then this session with Mike Walmsley is a must. Little known recruiting tactics that enable you to quickly fill more jobs – even the most difficult positions. Testimonial References – Use this magical candidate sourcing technique to turn one good candidate into three. Ask an everyday, routine recruitment question that leads you to more good candidates. Simple strategies to find out where the best candidates work — and to then turn them into placements. How we got 1246 new candidate registrations in 8 weeks and how you can follow the exact same steps. In this fast-paced session with Andy you’ll learn:. And much, much more………..guarantee that after listening to this session you will have tens, maybe hundreds of ideas to instantly position your brand. As a recruitment business owner do you want to finally achieve consistent billings and increased profits? Are you frustrated that your average Gross Profit per head is limiting the growth of your business? Maybe you are tired of riding the roller coaster caused by “peaks and troughs” in your team’s production and are fed up with nagging your recruiters to pick up the phone? Then you can’t afford to miss this director-level training. Your Investment For 20 Hours of High Impact Training? Only $497! I’m sure you’ll agree that this is excellent value, considering if you purchased all the audios separately, it would cost $1940! If you make just one extra placement as a result of what you learn, then your “Return on Investment” will be out of all proportion to what you paid. And if you’re an owner, your potential return is multiplied by the number of recruiters in your team. After Big Biller Summit is over, I’m not going to leave you high and dry. I want to give you ongoing support and continued access to cutting edge information in your quest to maximize your billings and grow your recruitment business. That’s why I’ve decided to give you unrestricted access to my private “members-only” website, where you’ll find a wealth of valuable information, tools and resources. LIVE Monthly Webinars with the world’s top speakers, trainers and recruitment industry experts. Training on Demand – Watch replays of our 25 most popular webinars. This is the fastest growing part of our site with new Online Seminars released every month. Each training session has a downloadable workbook for easy reference. Download Library – Why reinvent the wheel? The Download Library contains dozens of documents, letters, forms, checklists, scripts, and templates to help you manage and grow a successful recruitment desk or business. Discussion Forum – This is where our members come together to share ideas and information. You can tap into the combined knowledge and experience of this vibrant virtual community. Members tell us that the opportunity to discuss problems and bounce ideas off other recruiters and business owners in the discussion forum is the single most valuable part of the site. Ask the Expert — You can ask unlimited questions in the Discussion Forum and get answers from myself and my panel of experts. We’ll respond personally to your questions and support you in overcoming your most pressing problems and challenges. Since we each charge c$250-$500/hour for consulting, the value of this service is considerable. ‘How to’ Articles – You get full access to the BIGGEST collection of recruiter training articles on the internet. Entertaining, informative articles by world-class recruitment trainers, industry experts and business leaders. New articles are posted every week. Search Engine – The entire site content is searchable. That means you can find the exact answer to your specific question or problem … in seconds. *** NOTE*** Your FIRST MONTH IS 100% FREE WITHOUT OBLIGATION and your membership will automatically renew after 30 days for $97 a month thereafter. You MUST let us know if you do not wish to continue your membership at support@recruitmentcoach.com or +44 131 664 8064. There is no obligation, no minimum term. You can cancel anytime, just let us know and you will not be billed again. This free 30-day trial offer is only available to new members of RecruiterTrainingOnline.com. simply remove it from the shopping cart on the next page. Yes! I Want to Upgrade to VIP Today for Only $497! P.S. 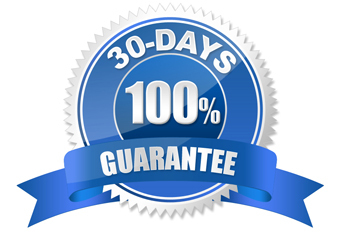 Remember, your investment is protected by our 100% Money Back Guarantee, so there is absolutely no risk. If you’re not completely satisfied for any reason, we’ll cheerfully give you a full refund. Please don’t miss out! Go ahead and order the MP3 recordings and PDF transcripts right now!